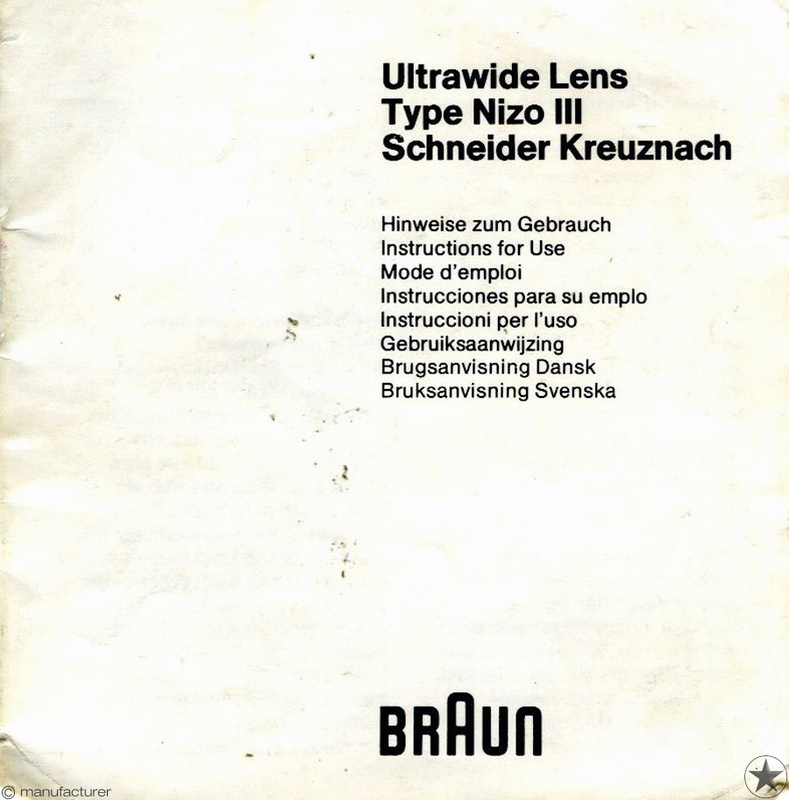 Ultrawide Lens Type III made by Schneider Kreuznach. 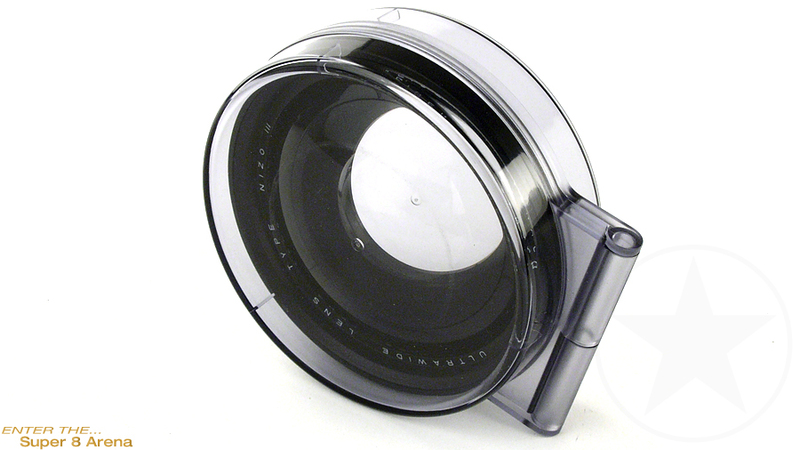 Can be used on all cameras with lens thread M62 x 0,75 or M67 x 0.75. The lenses must be suitable for macro filming. 7 mm focal length lenses are converted to 4 mm with a diagonal angle of view of 83°. This means about three times more in the picture, which is certainly a great advantage when shooting in a room. In addition the depth of focus is so greatly increased that in most cases no place as if a fixed focus camera were being used. An additional advantage is that uncontrolled movements of the camera are no longer catastrophic. Full copyright belongs to the original manufacturer. No manual is sold through this site, but solely included with the corresponding sb2duct.